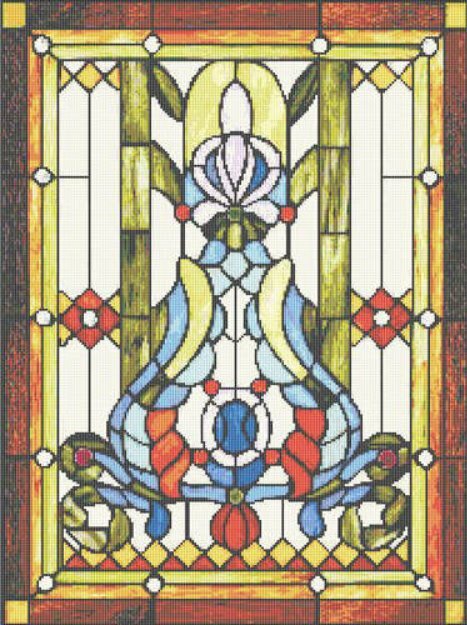 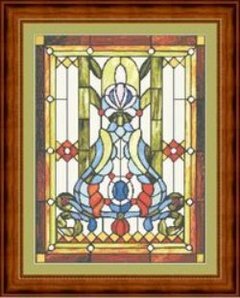 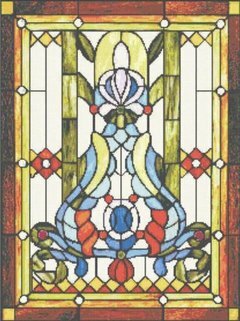 This cross stitch pattern design features an antique stained glass window. 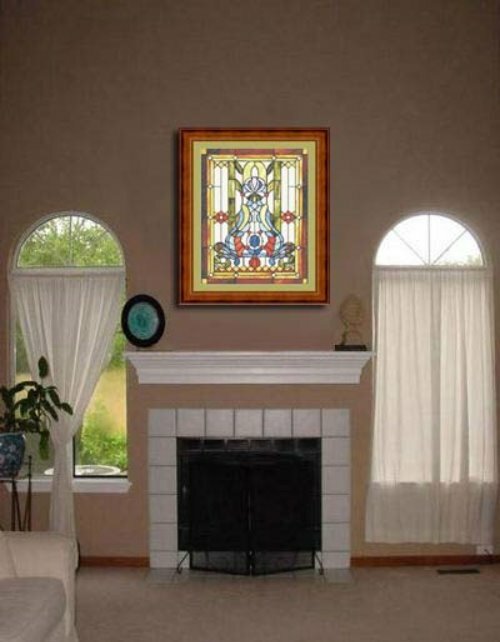 Uses 54 floss colors to create this stunning finished piece. For 14 holes per inch, finished size will be 14.9" x 19.9".